The thought of Rajasthan flashes in front of eyes, royalty, and palaces. The state is the ultimate destination of surrealistic where the air is filled with the regal sense of pious and splendour. And if you are planning for a vacation, be ready to be introduced with the surreal beauty of the place. Jharokha Rooms in Rawla Narlai, Rajasthan is a complete picture of luxury hotels in India. They are the ultimate destination of vacation if you are ever visiting Rajasthan. The walls ooze out royalty and render the tourists a king-like feel. We at Grand Nerai, a heritage resort in Udaipur believe in making our guests get a taste of our lore. Thus, we have designed the hotel rooms with the same sense, that is showcases the grandeur of the place. 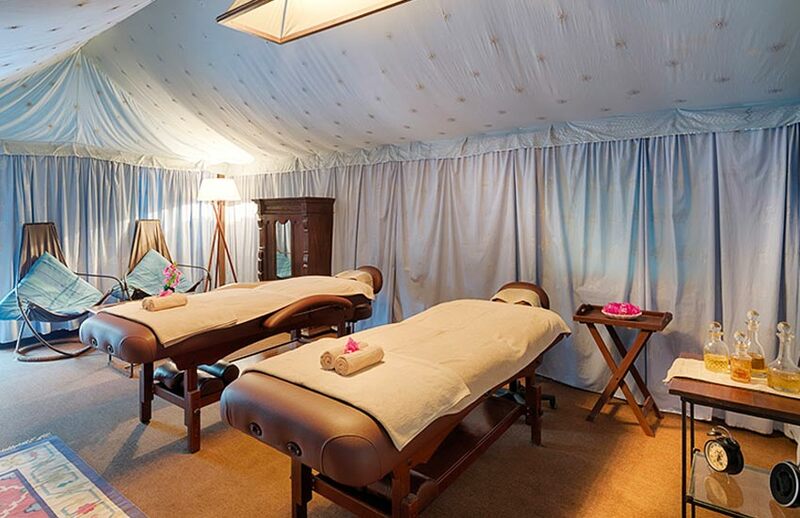 If you want to see the world through a king’s eyes, then the Jharokha hotel suite room is the perfect destination for you with exclusive spas for rejuvenating oneself after a tiring journey. The rooms are decorated with richness dripping interiors that has kept alive the grandness quotient. The rooms are facilitated by all the necessities without depriving the tourists of any amenities. These include Wi-Fi connection throughout the resort and in the rooms, mouthwatering cuisines served in breakfast at rooms, a double sized twin bed, LEDs, Huge Bath Tub as well as the scenic view of Hill and Poolside from the hotel room offering the grandiose of nature. 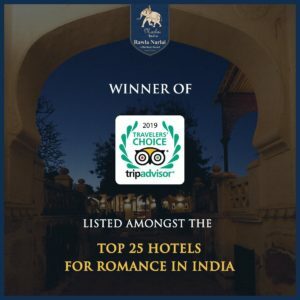 The rooms are decorated with the elegance of Rajasthan’s fabled demeanour in addition to offering entertainment programs for the guests to rejoice. The place is well-connected to the surrounding lush greeneries and elegant palaces of the state, making a perfect sightseeing location. The hotel room booking can be done in advance through email or call them at the number listed on the website. As the place is continuously filled with tourists, booking in advance is well appreciated or else you may end up losing your chance to reside in the hotel, wherein living life king size. Rajasthan is the place of royal kings and queens who are known for their valour and historic folklore. The place in every aspect oozes out royalty and give one the feeling of being a king. And staying true to its name the Heritage Hotel Rawla Narlai is synonymous to grandiose and Rajasthan’s Charm. Narlai is a spectacular village located on the roads to Ranakpur, where is situated the heritage resorts in Rajasthan Rawla Narlai. Located between Jodhpur and Udaipur it offers splendid sightseeing opportunities for the tourists. These are anointed as one of the many luxury hotels in India, which is a combination of beatific surroundings and royal hospitality. The rooms are no less a magnificent treat for the guests. Decorated with the majestic touch of royal style, they are marvellous extensions of the state’s regalia. There are 32 well maintained and luxuriously designed rooms at Rawla Narai that restores the grand designs of the state and its folklore. The rooms exude a charming feel and mannerisms of a king that makes living in the hotel both a comfort and a dream come true. If this wasn’t enough, the guests are treated with aristocratic tents that add up to the extravaganza of living in a royal caravan. The food is another factor that makes this resort stands out in comparison to others. It’s a delight to dine in open courtyards filled with serenity and enjoy the authentic recipes of the state. 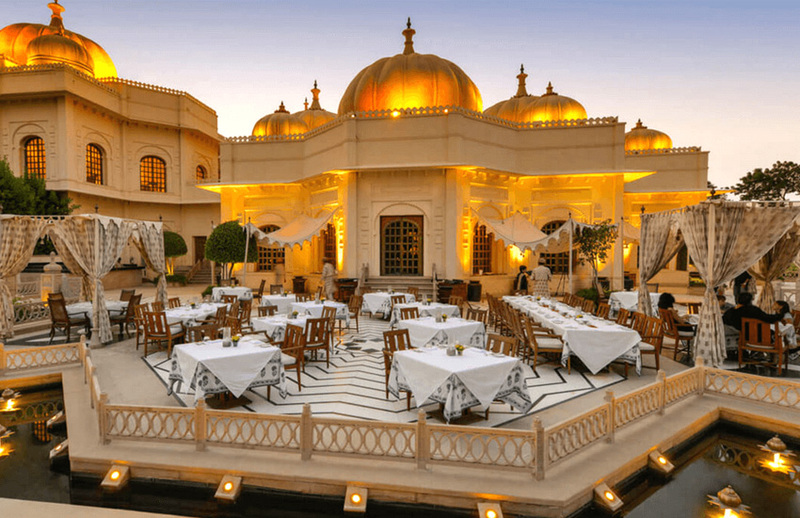 Served amidst the bubbly fountain or under the starry sky, replete antique furnishing and walls etched with Rajput paintings will surely take you back in time to the era of splendour and richness. All-in-all the food is something you would never forget that will bring out the foodie in you. The heritage hotel is a one-stop destination for all those who love to live life like a royal. Visit once, and you will wish to stay back forever. With a gratifying experience that one will cherish forever and fervour that will drown you in its beauty, visit Rawla Narlai to live the royal way. Rajasthan, the princely state of Indian Territory was the abode of Rajas before independence. Pronouncing the word Rajasthan, a picturesque view of the sand dunes, a panoramic view of the mesmerizing palaces and fortes, the vibrant culture, and above all the royal hospitality float on your eyes.Several reasons are there for being Rajasthan a global attraction and the tourist destination. Wherever you go to Rajasthan, the local people will call you ‘Hukum’ and greet you telling ‘Namaste’ by folding palms on the chest. This is Rajasthan culture will fascinate you at every tourist spot of the state. Ajmer — The city has a rich culture of both Hindu and Islamic heritage. The tomb Ajmer Sherifis famous next to the Mecca after the name of great Sufi saint KhwajaMoin-ud-din-Chisti, a revered shrine to both Hindus and Muslims. Pushkar — Pushkar is one of the most sacred towns to the Hindus. The Holy Lake and Brahma Temple. Don’t miss the Camel fair at Pushkar. Bikaner — Bikaner is popular for its Lalgarh palace and Junagarh Fort. Bharatpur — One of the most famous bird sanctuary, Keoladeo National park is at Bharatpur where thousands of species of birds are gathered from different parts of the world. Chittaurgarh — One of the largest forts is at Chittaurgarh where Rani Padmini and others committed Jauhar. Jaipur — Thepink city Jaipur is well known for its famous Amber Fort, HawaMahal, City Palace, and JantarMantar. The TajRambagh Palace in Jaipur is one of the exciting luxury hotels in India. Jodhpur — The city Jodhpur is famous for the majestic Mehrangarh Fort and UmaidBhawan Palace. UmaidBhawan Palace is now one of the fascinating heritage hotels in Rajasthan part of which is managed by Taj Hotels group. Jaisalmer — The city is historically famous for many havelis and Jaisalmer Fort. It is also a prominently distinguished for the Sam sand dunes. Desert camping is one of the most enchanting experiences here. Udaipur — The capital city of Mewar was Udaipur. The City Palace of Udaipur, the Lake Pichola, theJagdish Temple are the main attractions of Udaipur.The Rajputana resort Udaipur is the gateway on the outskirts of Udaipur. Ranthambhore — it is one of the attractive tourist spots in Rajasthan for its Tiger safari. Mount Abu — the Mount Abu should not be missed while touring in Rajasthan. The most famous spot in the Mount Abu is the Dilwara Jain Temple. Sariska National Park — it is a tiger reserve situated a protected place in the Alwar district of Rajasthan. The national park is famous for its wildlife. Sariska National Park safari is a thrilling attraction for the tourists. 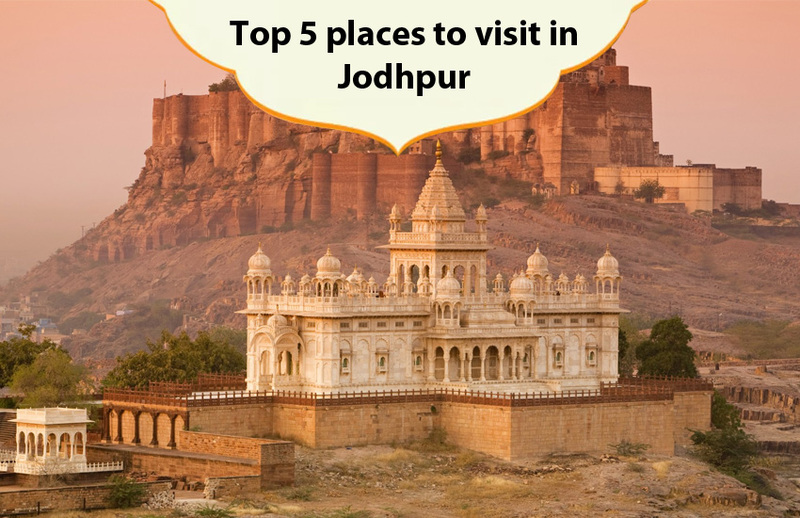 If you have a passion for travelling, you can never miss the attractive traditional touch of ethnicity and royally of Jodhpur by visiting the Jodhpur sightseeing. Jodhpur, the Sun City of India, is one of the most famous royal thrones, which is located in the Thar Desert, in Rajasthan. Jodhpur is the second largest city in Rajasthan. By booking our hotel in Jodhpur, you can enjoy the charm of the historical places, architectural and cultural heritage sites, temples etc, in Jodhpur. Mehrangarh Fort is one of the most majestic tourist’s spots in Jodhpur. It is situated at the height of 410 ft of an elevated hill with the boundary of a huge wall. It was built by Rao Jodha in the year 1459. You have to cross seven gates to reach the fort. The names of seven gates are like Victory Gate, Fateh Gate, Gopal Gate, Bhairon Gate, Dedh Kamgra Gate, Murti Gate and lastly Loha Gate. Loha Gate is very special because it has a sharp iron spike to resist the enemies. Jaswant Thada is one of the most attractive architectural heritages in Jodhpur. It is a hollow commemorative tomb, which was constructed in 1899 with regarding honourable Maharaja Jaswant Singh. It is made of white marble. It was built by Maharaja Sardar Singh in 1899. It is also called the Taj Mahal of Marwar. Mandore Garden has located 9 km to the north of Jodhpur. This is full of natural and architectural beauty. It is a part of the massive Mehrangarh Fort and the protection of this fort. There is a museum, a ‘Hall of Heroes’ and a temple, which is dedicated to thirty-three hundred million of Gods. This garden has a high rock terrace, which is the greatest attraction of the tourists. Kayland Lake is an artificial lake, which is located in the west side of Jodhpur city. The area of the lake is 84 sq. km. and it is bounded by lush greenery and you can see some exotic species of birds here. Clock Tower is also known as Ghanta Ghar and it is an important landmark in the Old Jodhpur city. This classical tower was built by Maharaja Sardar Singh. This tower is in proximity to the well-known bazaar Sardar Bazar. In the evening, it is beautifully lit. Sardar Bazar is very popular for spices, handicrafts, tea, jewellery etc. Finally, you can make the glorious and historical tour to Jodhpur with your families or a group and the booking options of our hotels are always available for giving you our services. 2018 Rawla Narlai Herital Resort. All Rights Reserved. Site Developed by FSC India.